Loch Moidart runs into the sea via two channels, north and south, and in the latter a rocky mound projects from a sand spit into the loch, becoming and island at high tide. 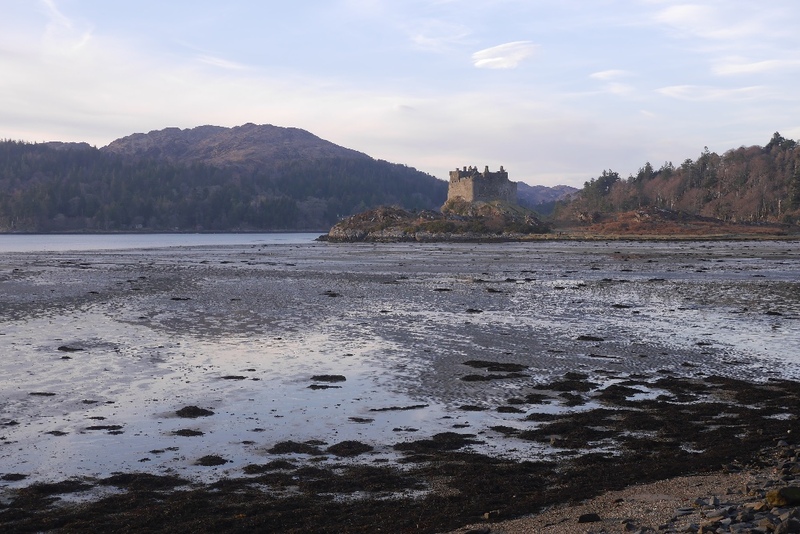 It supports Castle Tioram, or Tirrim, (‘the dry castle’) but those who wish to see it and its fairly-landscape setting had better be firm of purpose, for the castle is not easily accessible. Its eight-foot-thick curtain walls were built in the mid-fourteenth century, and it was properly inhabited until at least 1715 when Clanranald, coming out for the Old Pretender, ordered it to be burnt behind him, to prevent it falling into the hands of his enemies should he be killed. Moidart was the spot at which, thirty years later, Bonnie Prince Charlie alighted on the Scottish mainland to pursue his claim to the crown. Contact us now at Ireland & Scotland Luxury Tours to organise your visit on your tours of Scotland.